Detail from Doug Powell’s Resurrection iWitness (Nashville: B&H Publishing Group, 2012). This Sunday I’m beginning my sermon series on the Letter of James, the younger brother (technically, half-brother) of Jesus, who was the leader of the church in Jerusalem during the time when Peter and Paul were traveling the world with the gospel. 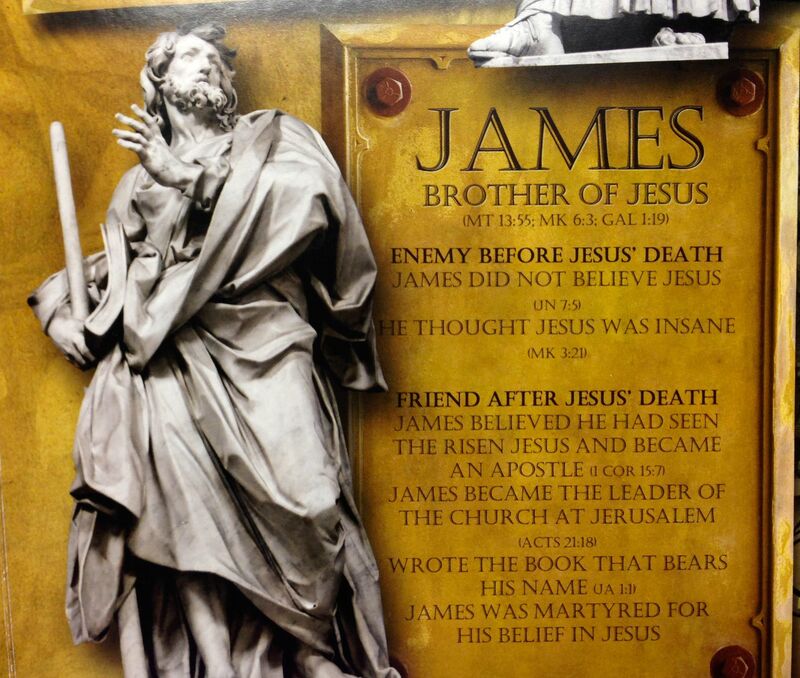 We know for sure that James was not a believer during Jesus’ lifetime. He, along with his mother and other siblings, believed that Jesus had gone “out of his mind” (Mark 3:21-22, 31-35). The Gospel of John also reports the skepticism of James and his brothers (John 7:1-9). According to Paul, however, the resurrected Jesus appeared to James (1 Corinthians 15:7), and James became not only a believer but a leader in the church at Jerusalem (Galatians 1:19, Acts 15:13-21), as also confirmed by both church sources and the historian Josephus (in an undisputed, independent reference to the historicity of Jesus, by the way). 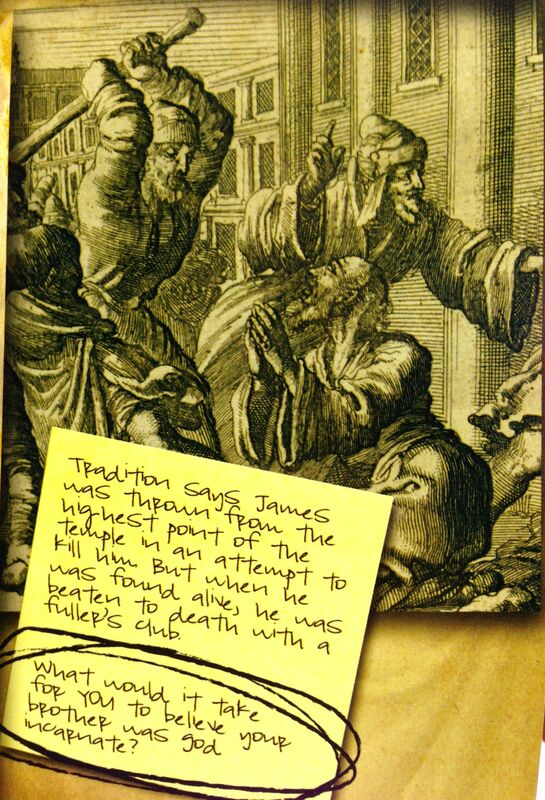 We also know for sure that James was martyred: After religious authorities gave him the opportunity to renounce his faith and disperse Jesus’ followers—the Jewish Christians would listen to James, they reasoned, since he was Jesus’ own brother—James instead bore witness to Christ. As a result, he was thrown from the highest pinnacle of the Temple Mount and then clubbed to death. Similarly, in one of his sermons on James, pastor Tim Keller invites us to think about the natural sibling rivalry that must have existed between Jesus and his little brother. After all, we can’t hide anything from our siblings. They know us better than anyone. Siblings are the ones who often write the gossipy tell-all books when their brother or sister makes it big. Because only they know the person behind the facade. Yet, in spite of all this, James believed that Jesus was God’s Son, the Messiah, Lord and God. It’s worth asking: What would explain this dramatic turnaround in James’s outlook—such that he was even willing to die an excruciating death for his convictions? One thing would: He believed his brother was resurrected. In his scholarly tome, The Resurrection of the Son of God, N.T. 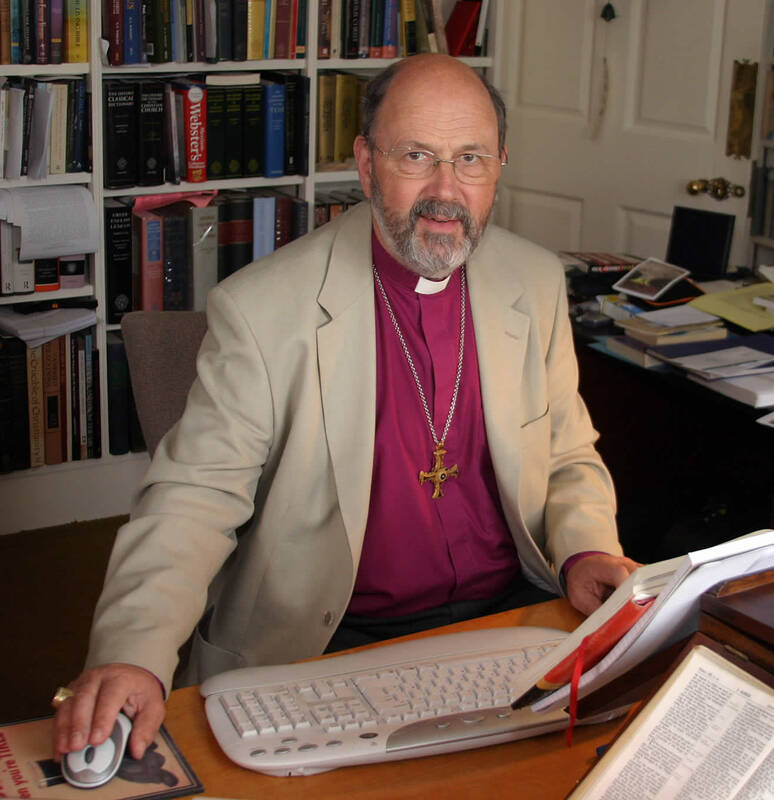 Wright offers another piece of evidence for the resurrection: the fact that the early church didn’t anoint James as Jesus’ messianic successor after Jesus’ death. † N.T. Wright, The Resurrection of the Son of God (Minneapolis:Fortress, 2003), 561-2. This entry was posted on	January 24, 2014 at 5:07 pm	and is filed under Uncategorized.